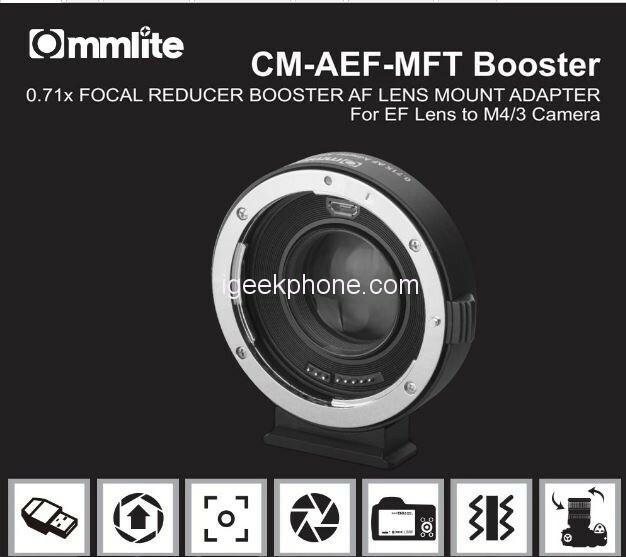 Commlite electronic lens mount adapter AEF-MFT Booster can change the EF Mount lens over the M4/3 Mount cameras, and meanwhile can achieve functions as USB Firmware Upgrading; 0.71x Focal Reducer Booster; EXIF Info. 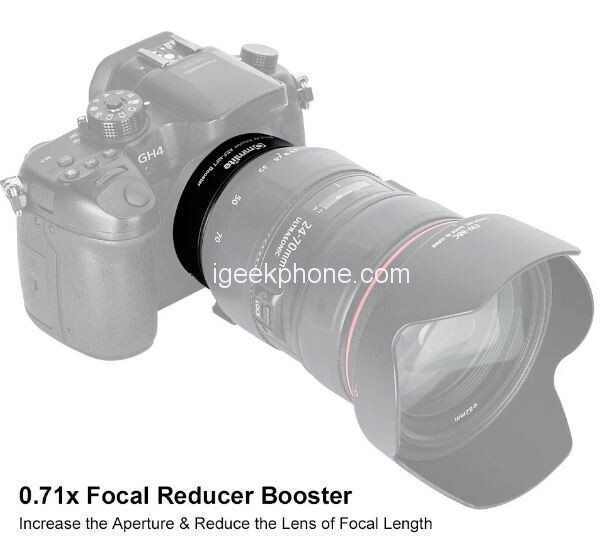 Transmitting; Support Auto Focus Function; Electronic Aperture Control; Built-in IS Stabilization Function; Gold-plated Contact Pins, which satisfy all the photography or video users who need this super combination. Before usage of the adapter, please ensure the adapter is compatible with your camera and lens. 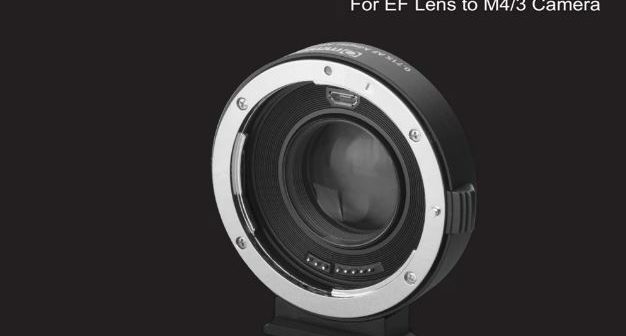 The Commlite AEF-MFT Booster Auto Focus AF Lens Mount Adapter is made from Aluminum alloy made, CNC processing; with 1/4 screw hole at the bottom. 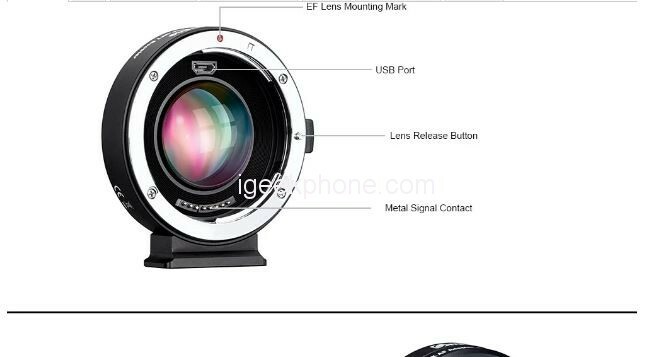 It comes in an amazing black color with a weight of 126g with a Camera-mount Outer Diameter: 40mm and Lens-mount Outer Diameter of 65mm. Next Article CooliCool Merry Christmas Sale Promotion offers Free Gifts and a Huge Discount!